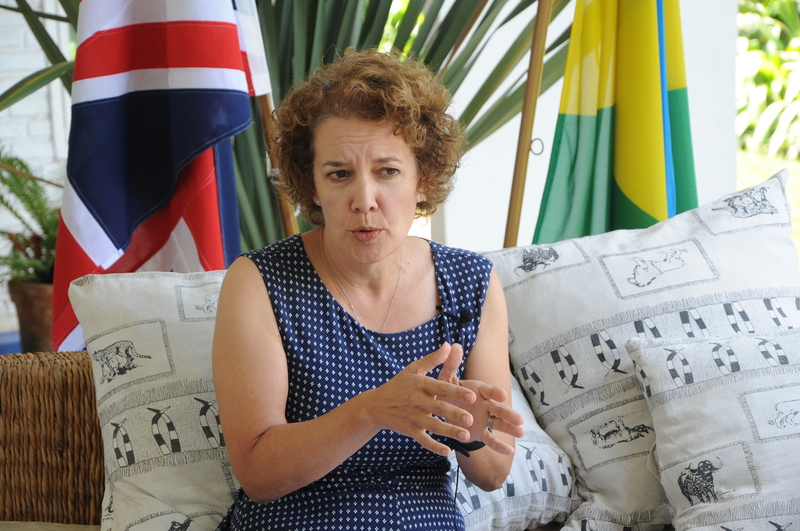 The British High Commissioner to Rwanda, Joanne Lomas has revealed that Rwanda will be given high investment priority within the 8billion pounds set aside for investment in Africa by the United Kingdom ahead of its exit from European Union (Brexit). From 31st March of 2019, the UK is set to officially get out of the EU, and the exact terms of the withdraw will become clearer by October this year while the implementation of exit will be extended to 31st December 2020. Before Brexit, the 8billion pounds envelope will be injected in areas of clean energy, climate research, development in African countries, including Rwanda. “That means we can start negotiating our own trade agreements with less disruption in many other policies we have with the EU and around the world, and we hope these will be fairer and realistic,” said High Commissioner Lomas during a press briefing this Friday September 7, 2018. The briefing comes days after the Special Africa week-long tour by the British Prime Minister Theresa May. At the end of August, May visited Kenya, South Africa and Nigeria. In Rwanda, British High Commissioner, said the UK will increase its presence and staffing in trade relations because Rwanda is a politically stable country which has had a long standing bilateral and investment relationship with the UK. “We will increase our staff (in Rwanda) predominantly from the department of international trade,” Lomas said. So far UK government is the largest budget funder for Rwanda. British based private sector investments are over $300million injected by 12 British companies and investment groups operating in the country. Lomas, who took office duties in January this year said that political rows that existed between her government and Rwanda in recent past are a history that was left behind. “We may have disagreements occasionally but this doesn’t come in the way of having a constructive partnership…my perception is that Rwanda is an amazing country and we are excited about working with Rwanda,” Lomas said.